Home Psychic Reading Love Why Does My Soul Mate Lie All the Time? 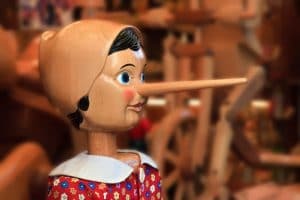 Why does your soul mate lie all the time? Aren’t you sick and tired of not believing a single word they say? Has it gotten to the point that although you wish you could trust what your soul mate says, they have lied so much you simply can’t? And it’s not just about the big stuff either. Some soul mates, like everyone else, find the one they love will lie about almost every little thing too!! So what can you do when your soul mate is nothing but deceitful and their word means nothing? First we must acknowledge that we are all guilty of telling a lie here and there. More often than not, most of us lie to spare someone’s feelings. But someone who lies all the time isn’t just a pathological liar. In some cases, they use their lies to manipulate the people they are lying to. It isn’t a random thing and there is a method to their maddening behavior. Let’s say your soul mate constantly will make promises to you they never intended to keep. They promise you that if you do “x” for them, they will then do “y” for you. Once you do what they wanted you to do for them, they never do what they promised to do for you. Your soul mate lied. They said what they felt needed to be said, even if it was a lie, to get you to do what they wanted you to do. It worked out fine for them. So they will use that lie habitually. The way to turn the tables on a soul mate lie is to make the soul mate go first, and until they do, don’t do what they want. Explain to them that they never follow through on their part of the bargain so now they have to put up or shut up. You are tired of their lies and excuses. They won’t like that you figured out their manipulation tactic, but who cares? So long as it stops the lies and manipulation, it’s all good. And it’s best to nip it as soon as possible because one lie often becomes many lies. Then there are the instances where a soul mate will lie by omission. They won’t tell you their ex called, or they forgot to run the errand you asked them to. When you find out the truth, their excuse is that they didn’t want to have a fight or make you mad. Ask yourself honestly, do you go postal when they tell you the truth? If you do, you may have to tone it down if your soul mate’s excuse is not so lame. However, if you know you don’t fly off the handle, then you need to explain to your soul mate that keeping things from you, or lying to avoid problem,s actually makes things worse. Try and reach an agreement that when they tell you the truth you will discuss things as calmly as possible. When they choose to lie instead, they need to expect consequences far greater than if they had simply told the truth. Now you are going to have to back that up with action, not just words. Yelling or giving them the silent treatment isn’t going to cut it. If this has become a pattern you are going to have to find more serious consequences to dole out or this will never stop. When you catch them in a soul mate lie, you need to confront them head on, or it will break down trust in your relationship. Trust is so hard to get back once it is betrayed. They may not seem to understand this, and you have to make them. If needing your soul mate to be honest is important to you, you need to show them. Your actions will speak louder than their lying words.